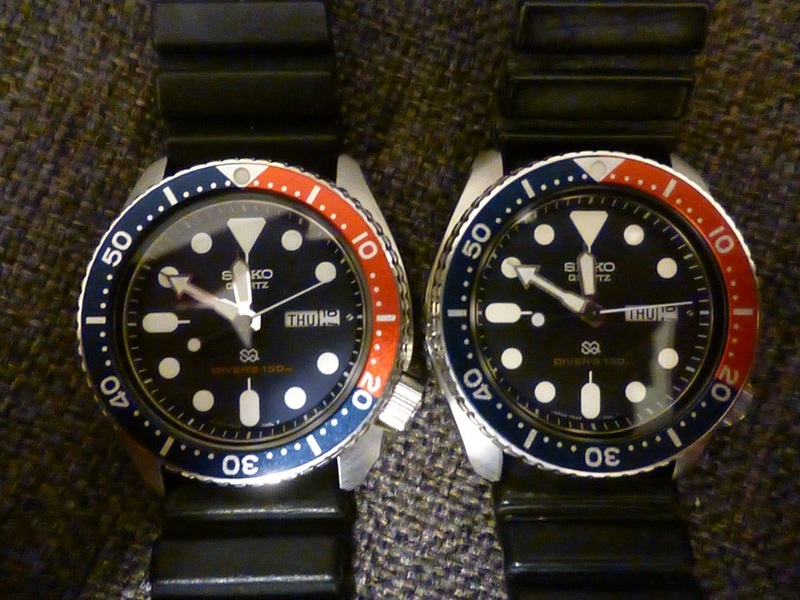 Recently, I inherited two Seiko divers from my grandfather. A beautiful 7548 that I instantly fell in love with and a 6309. Both are in great condition disregarding some major scratches on the back of the 7548 and some minor scratches on the side of the 6309. The 6309 came without the original hand and currently rests on what can only be described as a subpar-substitute. The 7548 had its original band, but I replaced it with a third-party band in the new curvy style. I also replaced the battery and gaskets on the 7548 and had the movement serviced.
? What grade stainless steel was used to construct the cases?
? Can the scratches on the cases be buffed out and how?
? What are the respective accuracy ratings of the movements?
? 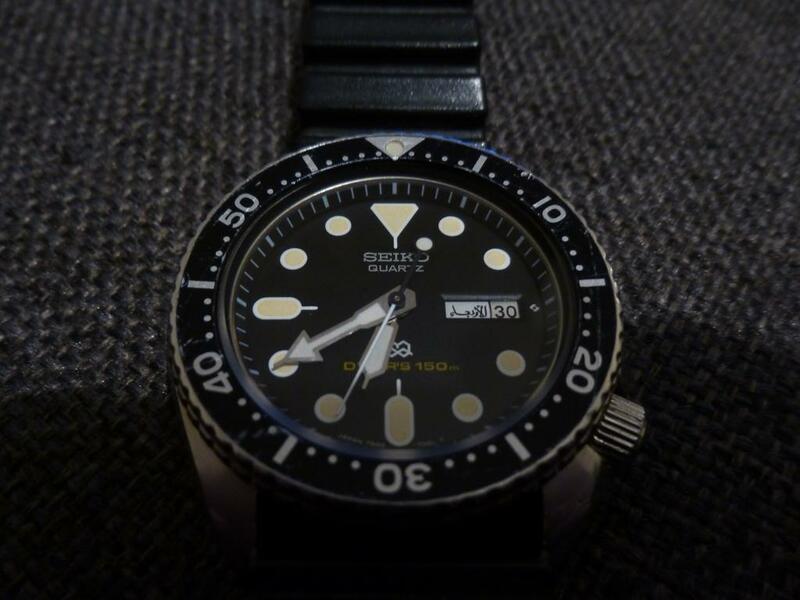 Can the original rubber strap be salvaged and used on the 6309?
? 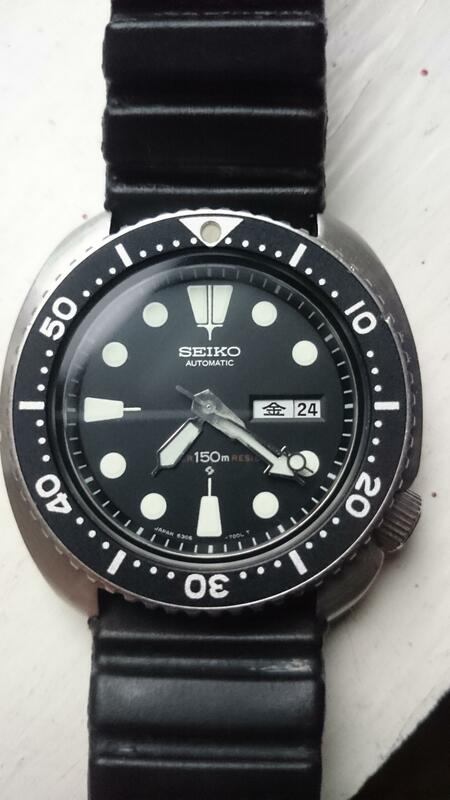 What is the best/cheapest option to get the hands, dials, and bezel resumed? Preferably with lumebrite. The original promethium used has a half life of 2.62 years so only .02% of the original luming remains. Last edited by GreyWoolf; 03-08-2017 at 03:29 AM. Lovely pair of watches you've inherited. The strap for the 6309 and 7548 original used a GL831. These are old and mostly best to not use as they can be prone to cracking due to age. An updated version is the DAL1BP. Many people who desire these watches look for the original finish. Polishing is generally a no no and with the watches holding such sentimental value I'd recommend you retain as much originality as possible. Which brings me to the lume. On these old watches the lume can degrade to a deep grey or black rot and can detract from the aesthetic a lot. Even then many collectors appreciate that this is a sign of originalit. That said they can often benefit from a professional and quality relume to match the original. With yours they look excellent and I would strongly recommend you don't see the lume as non functional, but instead another great aspect of the watches that prove their authenticity and add to the charm. Polishing the caseback is in my opinion also unnecessary. They often come out with a glossy finish and one that erodes the brushed and frosted texture from the Suwa logo. It also softens the case number and serial numbers if overdone. Again this is something that many people wouldn't want to do to their watches especially ones in such excellent original condition. The stainless steel you'll have to find out from someone else. My personal recommendations would be to replace the caseback and crown gaskets, have them serviced and pressure tested. As for accuracy I believe the 6309A had a +- 25 spd accuracy rating but I've no idea about that, so again someone else might want to chime in. 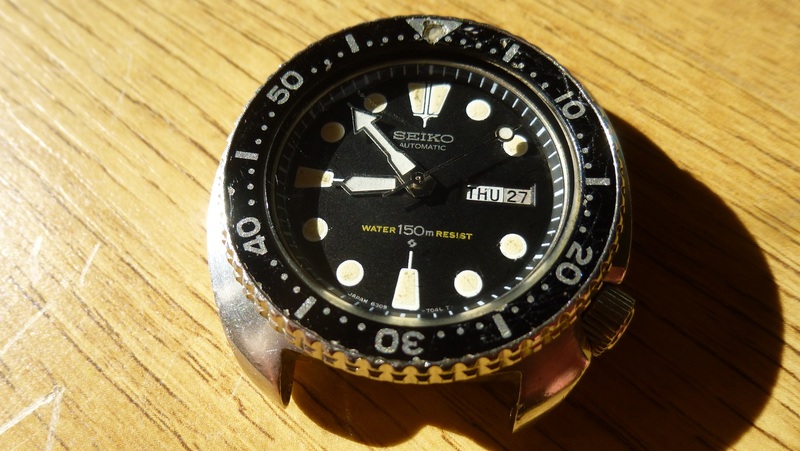 An excellent watchmaker who specialises in vintage watches like these Seiko as well as others will appreciate having them to service. Someone like Duncan (thewatchbloke) or David (benchdweller) will get them running accurately and and in excellent serviced condition to run for another 40 years, although ideally with these I would make sure they are serviced every so often to make sure the parts are lubricated and maintained to avoid wear. Very lovely pair. Nice to see them both from the same year, anyone would be very lucky to have those two in such nice condition. By the way, your 7548 is an international market version with the "SQ DIVERS150M" text. 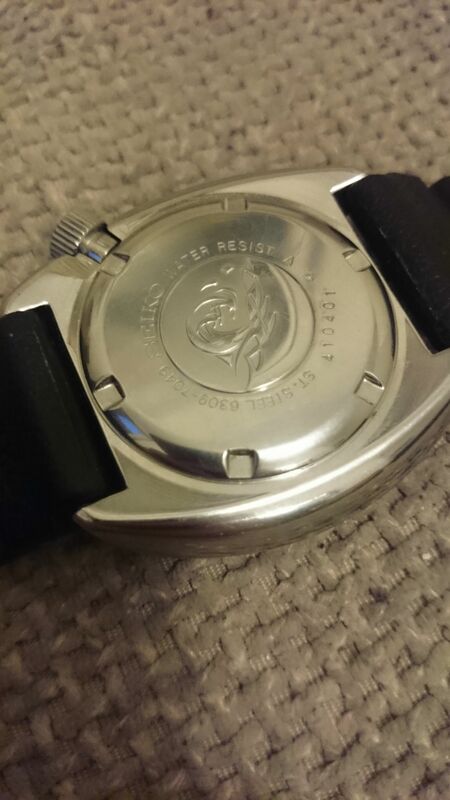 There are other versions that match the 6309 with the "WATER150MRESIST" text. I like both and have a lovely Pepsi bezel and black bezel version like yours and also a 150M resist version with the black bezel. I love them. Your 6309 is a Hong Kong cased version actually known as a non suwa variety. These are often less sought after (stupidly) than the suwa logo versions. The suwa logo you'll notice is missing from the dial where you often see it. The case code is also much wider and stretches quite a bit around the base. I really like this feature and strangely one of the most renowned servicer and restorer of these vintage watches, Spencer Klein, has often noted that the movement gives better accuracy than the suwa versions. Whether or not that anecdotal evidence is anything more reliable, I don't know. But it does seem be something that crops up from time to time. Last edited by GuyJ; 03-07-2017 at 08:04 PM. 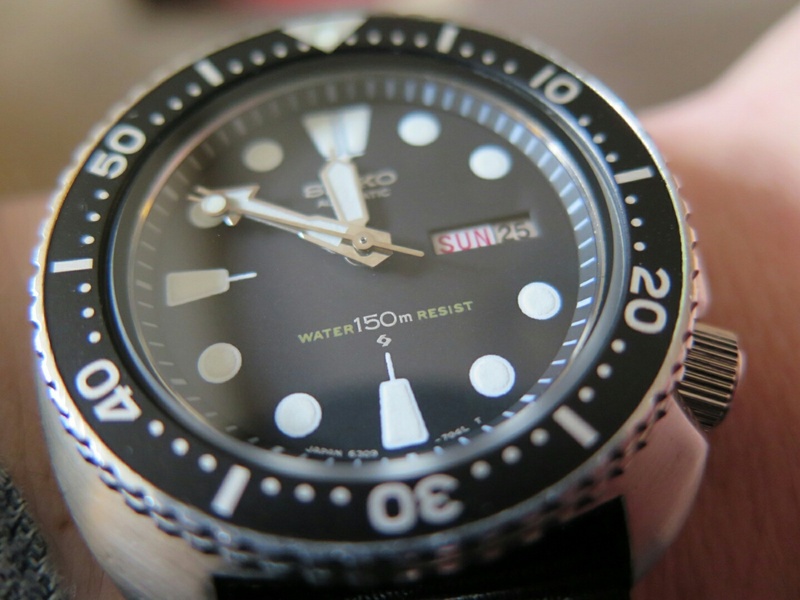 I know the current SKX007 features 316L stainless steel. If someone could comfin that the case is identical I believe that would be enough evidence. As I mentioned, The 7548 had its gaskets replaced and the movement serviced (the day wasn't changing). The man who did it claimed the watch would maintain a 150m rating. 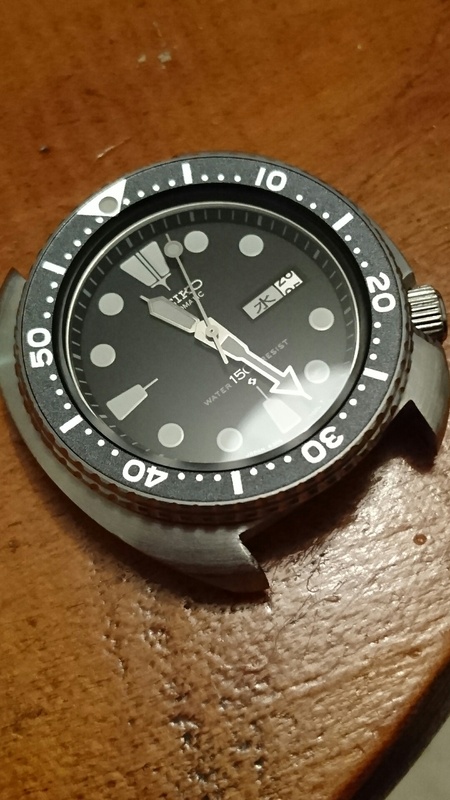 Why would you recommend replacing the caseback or did you mean the gasket in the caseback? Also, you said that the that the 6309 is a Hong Kong cased version, but the Suwa logo is in the very bottom text and reappears on the case back which I just uploaded a picture of. Do you mind posting pictures of yours? I'd love to see them! All of the 6309 and 6306 here have gone now. But there are a few I've had. The non suwa should also be missing the Japan stamp on the caseback and should also have a differently stamped rotor on the movement. 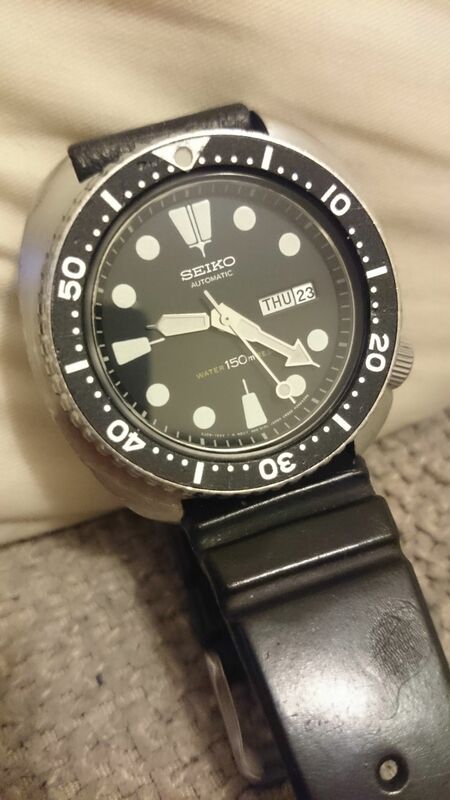 Seiko Time Corp instead of just Seiko I believe. Last edited by GuyJ; 03-08-2017 at 07:36 AM. You picked a strange sub-forum for your thread. I didn't notice the subforum as I always click on active threads! Maybe a mod could move it for the OP? Thank you for linking your comparison. 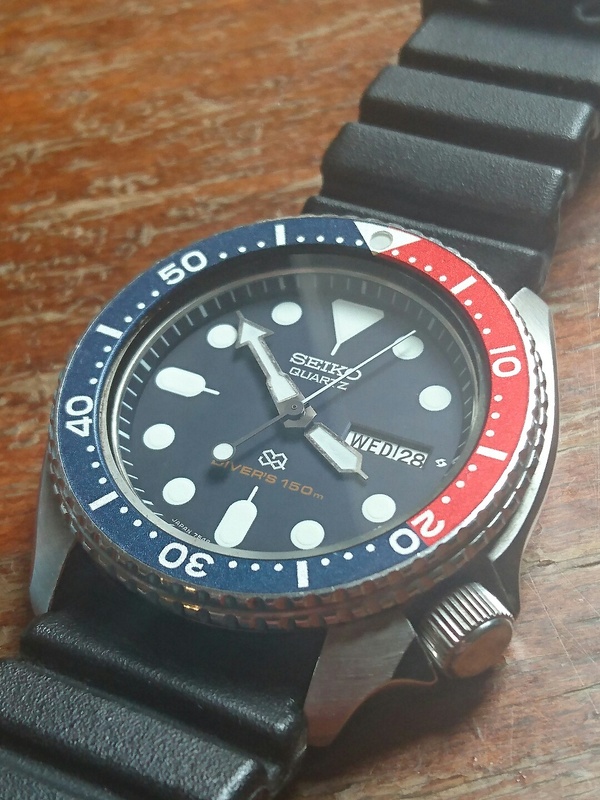 I'd love to get a SKX007 one day but I'm a stereotypical broke college student. Also I like wearing this watch everyday because of it's history so it would kind of defeat the point. I definitely won't be getting it relumed anytime soon if at all for said reasons. 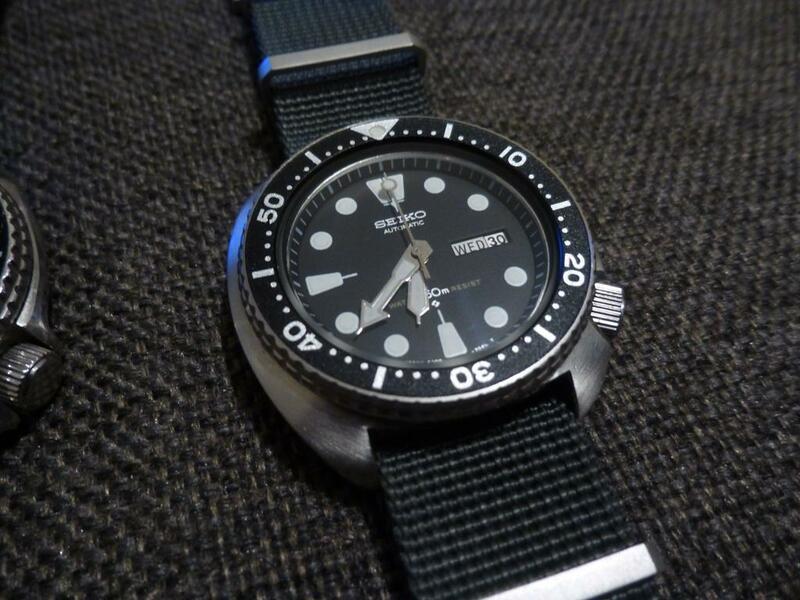 I'm new to these forums and saw "Seiko Diver reference" and assumed this was the right sub-forum for my post. Who should I message about moving it? That's a lovely collection of watches you've owned! I'm very jealous. Do you happen to know where the Hong Kong cased movements were made? 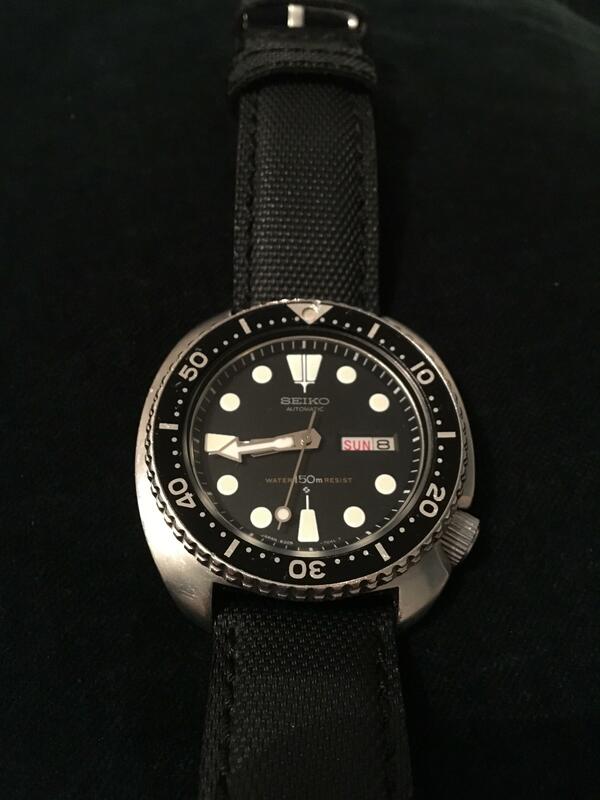 Was the entire watch made in Hong Kong? I've got a small collection of antique and vintage watches and I'm trying to collect all of the useful info I can about each watch. Maybe message to see if John (TheTigerUK) will move it, but it's no big deal. The Hong Kong cased versions were made in Japan as far as I know, maybe in the daini factory but someone else would have to chime in on that. 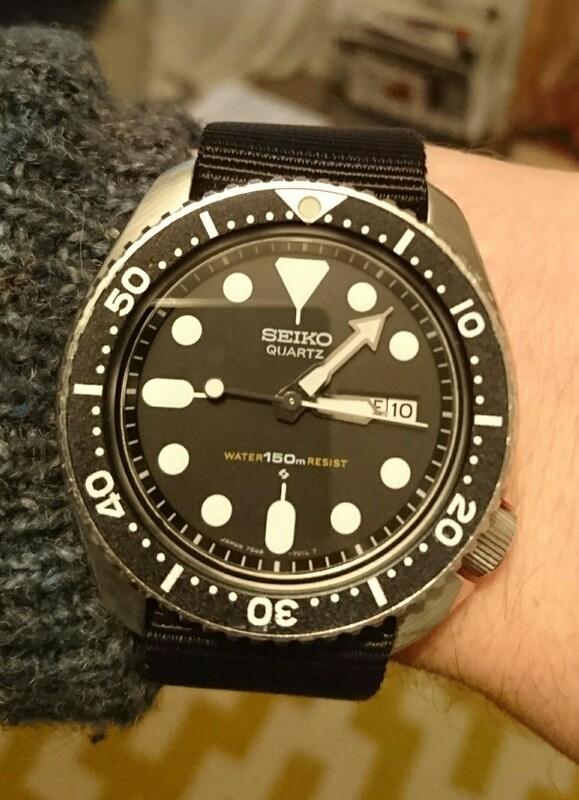 It's a little bit like the SKX007 (among many others) where the J version is supposedly 'better' than the k version. The only real difference is that the J version has an added dial text. The watches may be made in Malaysia or elsewhere but ultimately the parts are the same. If you Google 6309 non suwa or 6309 Hong Kong you can find various threads about it. A lot of them are on here. And yeah seriously those watches are lovely. You shouldn't be jealous of mine, anyway the nicest ones have all gone. I would love to have a 6309 like yours again but I simply can't afford the prices these command and ultimately don't think it's worth it as much as I used to. But you should be proud to have two lovely examples as they really are very good. As the 6309 bottom text reads "6309 - 704X T 'suwa logo' MOVT AND DIAL JAPAN CASED HONGKONG" would it not be logical to assume that the dial and movement were still made at the Suwa branch at least in this particular case? Also as for the 7548-7009 being international market version, it features (like the 6309) an English/Spanish day wheel and I've read that the 9 on the last digit denotes North American market. Sorry for bombarding you with questions I just couldn't figure it out from my reading. Yes indeed apologies you're correct that is the correct destination market. And yeh I think it's possible the movement and dial were made in the Suwa plant in Japan, but again I'm not that sure on those differences. Happy to help as it refreshes my memory and gets me interested again..really though if you search some key words on this site there is a wealth of information far more detailed than I can remember!